There are multiple risk factors for children, including parental wellbeing, alcohol and drug use, mental health issues, poverty and overcrowding. Cumulatively these all contribute to the poorer social-emotional, health and economic outcomes experienced by far too many Aboriginal people. There is an opportunity to lay down neural pathways in that critical period under three, when we see the most prolific brain development. Early childhood learning is one obvious area for investment but governments need evidence says Dr Anita D’Aprano from the University of Melbourne’s Graduate School of Education. And yet, despite overwhelming evidence of the benefits of early childhood education and intervention, some Indigenous children have missed out on the developmental tools used routinely with the rest of the population. “The standard screening tool used predominantly by child health nurses to pick up developmental difficulties in young children was not being used for Aboriginal children living in remote settings,” she says. One of the developmental screening tools commonly used in Australia is the Age and Stage Questionnaire (ASQ-3). It helps understand how children under five are developing their communication skills, gross motor skills, fine motor skills, ability to interact socially and how they problem solve. It is designed to detect developmental difficulties before they present at school, so children who need extra support receive it as early as possible. “The available developmental screening tools were deemed inappropriate for Aboriginal children in remote communities – but nothing was being used in their place. So there was no formal way of identifying children in those communities who needed extra support,” says Dr D’Aprano. Motivated to change the situation, Dr D’Aprano resigned from her job in Melbourne and signed on for a PhD at the Menzies School of Health Research in Darwin. The result is the ASQ-TRAK – a culturally adapted version of the mainstream questionnaire, modified for Aboriginal children living in remote communities. It is already being used in the Northern Territory and Western Australia and currently being trialled in South Australia. 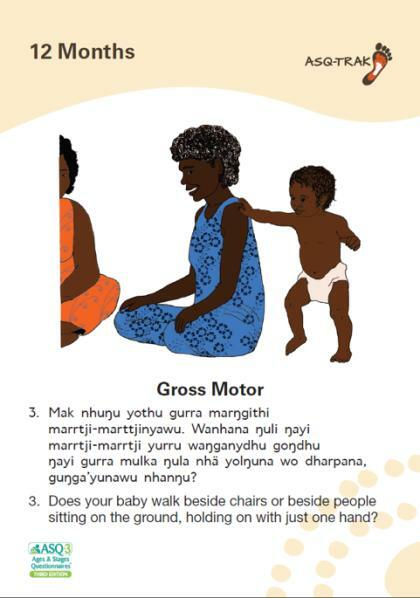 Working initially with two communities in central Australia and North East Arnhem Land, Dr D’Aprano consulted early childhood education specialists, child health practitioners, linguists, cultural experts and Aboriginal leaders to adapt each of the 210 items in the questionnaire. While the intention of every item remains the same, the adapted questionnaire features very simple English, culturally relevant tasks and illustrations. At the 12 month check up, for example, the mainstream questionnaire asks parents if their baby walks beside furniture while holding on with only one hand. Other simple modifications included asking families if their child uses a stick to draw in the sand (rather than a crayon), and showing that a threading task could be completed using seeds and string, rather than beads. The adapted tool has been validated, and feedback from practitioners and parents has been overwhelmingly positive. An added benefit, says Dr D’Aprano, is the process empowers parents. Dr D’Aprano went on to collaborate with the Central Australian Aboriginal Congress and the Department of Education in the Northern Territory. 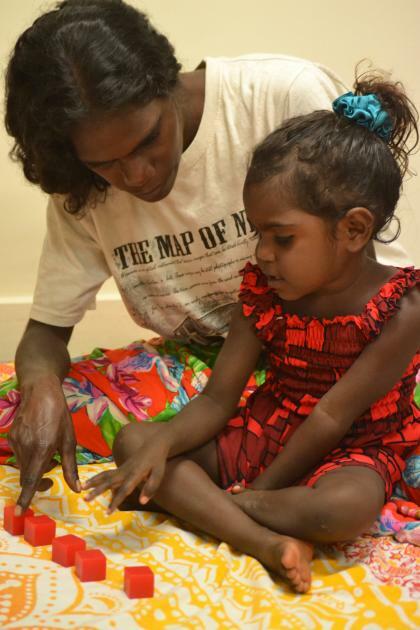 One of the programs now using the ASQ-TRAKthe Northern Territory Department of Education’s Families as First Teachers, an early learning and family support program for remote Aboriginal families, with 38 sites. “There’s no doubt there’s a high level of adversity in remote communities,” says Dr D’Aprano. “There are multiple risk factors for children, including parental wellbeing, alcohol and drug use, mental health issues, poverty and overcrowding. Early childhood learning is one obvious area for investment, says Dr D’Aprano, but governments need evidence. 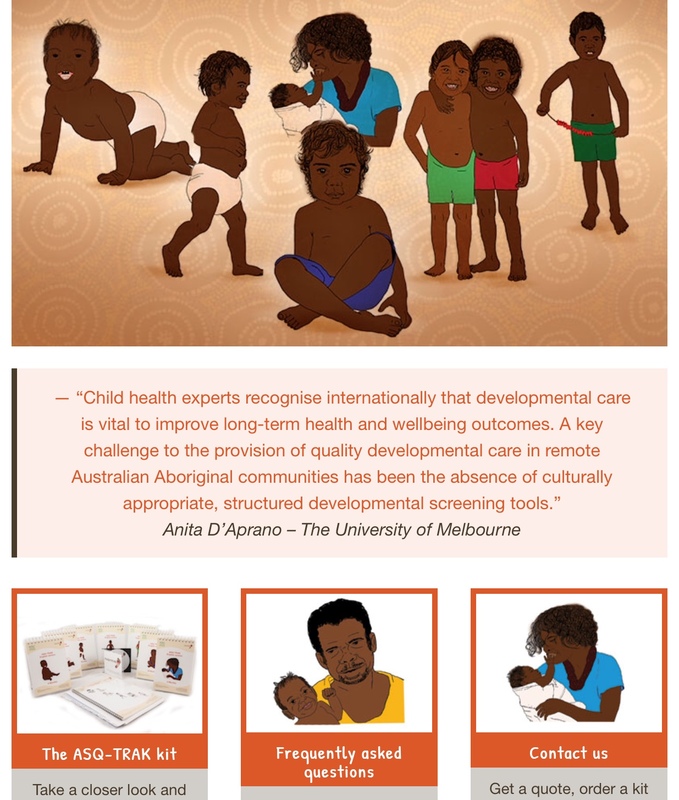 Her next step is to develop a culturally appropriate standardised tool that measures the effectiveness of early childhood development programs – both for individual children and programs as a whole. “We haven’t had a culturally appropriate way of looking at outcomes from programs like Families as First Teachers, but we really need to invest in this area.